When travelling with the whole family, it can be hard to find an activity or attraction that everyone can enjoy. Additionally, during this time of year, you may think that your options are limited due to the weather; however, this is why Cornwall serves as a great destination all year long! Although Cornwall may not be the first location that springs to mind at this time of the year, it is the perfect destination for a holiday with your family during the colder months. Visiting off-season can reward you with a host of perks, from quieter activities to better availability for your accommodation. At this time of year, there are a range of activities for all to enjoy, for adults and children alike. Whether you are looking for family-friendly holidays in Cornwall, or are more local to the area, we have put together a guide on some of the best family-friendly things to do in Cornwall. With its incredible architecture housing the world’s largest greenhouse, the Eden Project is the perfect place to marvel at some of the world’s most exotic plants. Located on the South Coast of Mid-Cornwall, it’s an experience that should be at the top of your list when visiting this county. Since opening to the public in March 2001, the Eden Project has firmly cemented itself as one of Cornwall’s top family attractions to visit. You can spend the whole day ambling around the domes and immersing yourself in the beauty of nature which surrounds you. 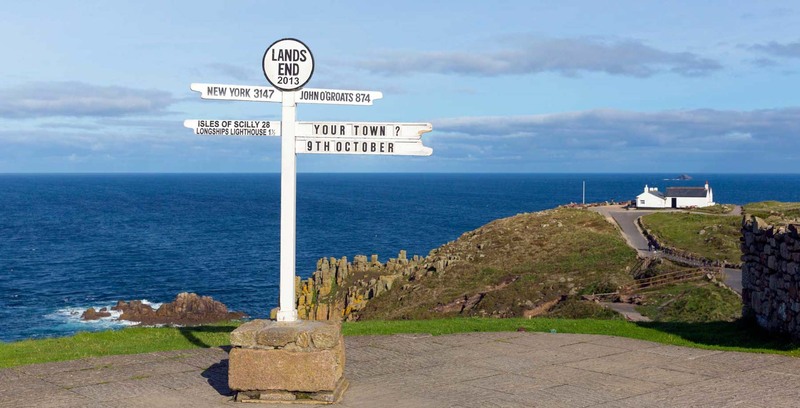 One of Cornwall’s most famed attractions is Land’s End. Here, you can spend your day at England’s most westerly point whilst marvelling in the natural beauty which Cornwall has to offer. The views and coastal scenery are stunning, but there are also a host of activities available to entertain the whole family. You will have the opportunity to wander along the outstanding coastal paths as well as learning about the famous history in and around this location. Additionally, there is plenty to keep the whole family entertained from shops to 4D experiences and much more. 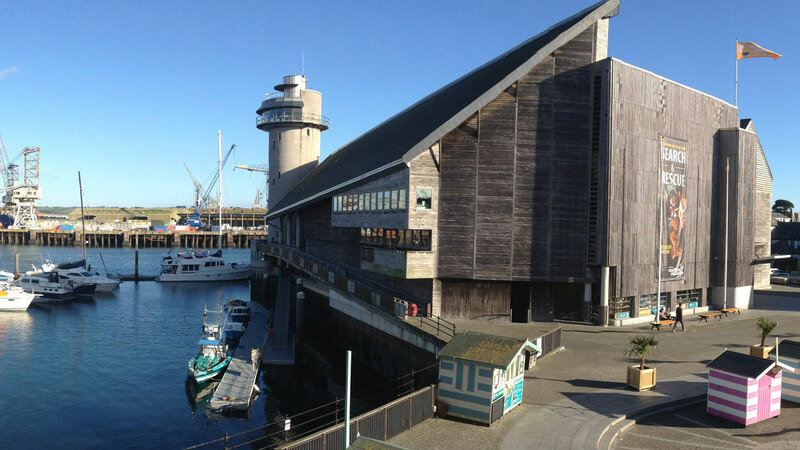 In Falmouth, you will find The National Maritime Museum, and this can be a great experience for the whole family. Since opening its doors in 2003, the museum fused the National Maritime Museum in Greenwich, and the former Cornwall Maritime Museum together, and now it celebrates the outstanding influence of the sea. This can be the perfect place to spend a rainy day, as you can explore the five floors of interactive exhibitions and immerse yourself in the fascinating history. With over 55 years of experience in seal rescue, rehabilitation and release, a visit to the Cornish Seal Sanctuary is a great attraction for the whole family! The park is home to 29 different animals, from sea lions and penguins to otters. Take a leisurely stroll through the beautiful woodland area, where you will be met with breathtaking views out over the Helford River. Afterwards, treat the family to a bite to eat at the café. Flambards has something for everyone and is one of the most unique and fun attractions in Cornwall. With an array of rides on offer for those of all ages, it will hard to drag the kids away. The reason this attraction is so unique is due to their indoor exhibits. You will have the chance to travel back in time and amble through the streets of a Victorian village where they have recreated typical scenes from that era. Their Blitz experience is just as exciting as you will be able to walk through a life-size London street and look into war-time homes. You will hear the air raid siren, and the floor will shake beneath your feet as another bomb is dropped! These are just a handful of family-friendly attractions which can be enjoyed when visiting Cornwall come rain or shine. Have you had the chance to visit Cornwall, what was your favourite thing to do? Let me know in the comments below!